In the past few years, China has been growing increasingly popular with international students seeking undergraduate, postgraduate, and exchange courses. In 2015, China played host to nearly 400,000 international students from all over the world, making it the third largest destination for international students worldwide, only behind America and the UK. According to a report by student.com, its international student numbers have been growing at an average of 10% every year from 2006 to 2015. This represents a far quicker growth rate than any other popular study destination. This has been partly driven by the Chinese government’s efforts at improving the quality of education in the country. Today, more of China’s universities have been included in global university rankings. The Times Higher Education World University Rankings included 37 of China’s universities in 2015, compared to just 6 in 2011. With China’s increasing influence as an economic superpower, many students are also drawn by the opportunity to beef up their knowledge of and cultural links with China, believing that it will lead to better job prospects as closer economic ties with their home country are forged. Today, more people around the world are keen to learn Chinese, visit China for tourism or business, and study in China. Some 80,000 students from Southeast Asia chose to enrol in Chinese universities in 2016, according to the China Education Association for International Exchange (CEAIE), China’s nationwide not-for-profit organisation conducting international educational exchanges and cooperation. 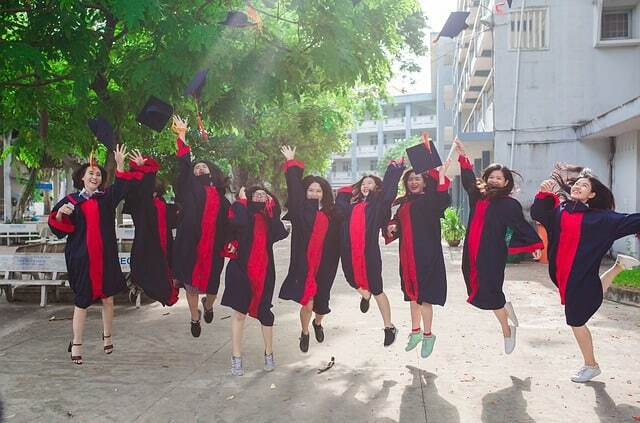 As stated in the above-mentioned Channel NewsAsia article, students from ASEAN countries now form the biggest group of foreign students studying in China’s higher educational institutes, overtaking South Koreans. Another key reason why more students are choosing China as their host country is the availability of generous scholarships from the Chinese government awarded as part of the Belt and Road Initiative (BRI), stated the news report. BRI has been touted as the world’s “most ambitious infrastructure plan” and represents the country’s bid to strengthen trade, social and political links with Southeast Asia. According to student.com, China offered over 40,000 scholarships to international students in 2015, marking a near five-fold increase in the number of scholarships given out in the last 10 years. “As China continues to enhance its education system and her institutions rise in reputation, we expect to see a continued growth in interest to study there in the coming years,” Mr Koh added. Singapore Success Stories has been helping Singaporean students and all nationalities gain placement in universities and educational institutions abroad successfully. If you’re keen to find out more about pursuing further studies in China, contact us at 6802 5216 or cs@successtories.sg today!